Should You Find Out If You Have Asperger’s? 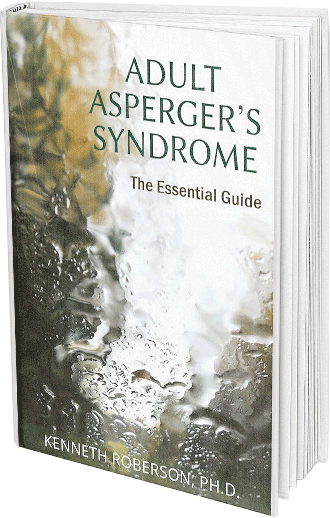 | Kenneth Roberson, Ph.D.
Should You Find Out If You Have Asperger’s? Consider the pros and cons of an Asperger’s evaluation ahead of time. If you think it’s a possibility that you have Asperger’s syndrome, is it worth the time and effort to find out for sure? Only you can answer this question, but it might help to consider some of the pros and cons of an Asperger’s evaluation. After all, knowing you have Asperger’s is likely to have a big impact on your life. It may be reassuring. It may help explain things you didn’t understand but knew were different and challenging. It may help those around you to make sense of things you do and provide direction in finding ways to change difficult behavior. And it may open doors to helpful resources and the support you need to increase your overall well-being. Then again, an Asperger’s diagnosis could come with a cost. It may not be what you want to hear. You might feel stigmatized, stuck in an unwanted diagnosis, and/or burdened with a label that commonly is misunderstood and misrepresented. You may risk employment discrimination. Your spouse, friends, colleagues, and others may see you in a way you hadn’t anticipated, and not necessarily all positive. Your self-esteem may take a blow. You might experience complications to other challenges you face, such as anxiety, depression, and self-confidence. Here are some thoughts I have about the decision to seek an Asperger’s evaluation. They are my own, I realize, and may not address the concerns and questions you have about an evaluation. I do hope, however, that if you move forward with an evaluation, you will do so having given thought to what the outcome might mean. Knowing whether or not you have Asperger’s can help you develop and pursue the strategies you need to be successful in life. If you do have Asperger’s, you will be in a better position to overcome obstacles in your way, such as making friends, dating or improving your marriage, interacting more productively at work, and socializing more effectively. Solutions to your problems become easier when you have a better idea of what it is that’s getting in your way. Similarly, if you don’t have Asperger’s, you can look at other reasons why you are the way you are. If Asperger’s is not your problem, you can find out what is, and address that. The goal is to find what it is that makes you happy, not to get pigeonholed in a diagnostic label. Along with knowing whether or not you have Asperger’s, an evaluation will tell you if you have additional, associated problems, such as Attention Deficit-Hyperactivity Disorder (ADHD), bipolar disorder, social anxiety, or depression. With this information, you are in a better position to address all of the social and emotional complications you face. A definitive diagnosis is a way to help you understand why you are the way you are. The same is true of the significant people in your life. Knowing whether you have Asperger’s gives them the means to respond to you differently, hopefully, more in line with who you actually are. Knowing more about yourself helps not just you, it helps those who care about you. With a definitive diagnosis, you have easier access to useful, relevant resources and support. There are communities of people who can help, with whom you can share your experiences and learn about theirs. This is true even if you don’t have Asperger’s. You will, at least, know what help you need and, hopefully, where to get it. Even in this day and age of greater tolerance and understanding, people with Asperger’s are often stigmatized. You risk the possibility of encountering biases and prejudice by disclosing an Asperger’s diagnosis. Similarly, you risk experiencing stigma towards yourself and the negative effect on your self-esteem this can have. Do keep in mind that a helpful, preventative measure to take before seeking an evaluation is to discuss your attitudes, biases, and expectations about Asperger’s with friends, family members, other adults with Asperger’s, and/or a professional. The possibility of an incorrect diagnosis is something to consider. Few professionals specialize in adult Asperger’s, as opposed to Asperger’s in children. Given how similar it is to other conditions, Asperger’s can be misdiagnosed, and the risk is even greater when the evaluator is inexperienced with Asperger’s. Sadly, a real risk of seeking a diagnosis is that you may hear you have Asperger’s when, in fact, you don’t. 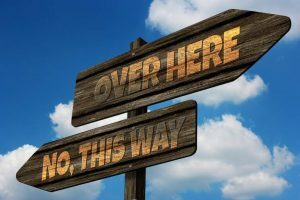 Employment discrimination exists these days, as it always has, and one of the risks of disclosing an Asperger’s diagnosis is the possibility of being treated differently and unfairly because of your condition, even though it is illegal to do so. Consider whether you want to divulge your diagnosis to your employer and risk discrimination. Finally, an Asperger’s diagnosis might tell you what you already knew all along. Ask yourself whether it’s worth investing in the time and expense of an evaluation if the outcome is finding out what you already know. It’s fine if you are okay with this, but if you’re not sure, think carefully whether it makes sense to learn something about yourself that, really, you knew from the beginning.